Is SoundGirls for women only? No, SoundGirls is for anyone who has a desire and drive to succeed in professional audio. The ratio of women to men members is approximately 65% women and 35% men. SoundGirls welcomes all genders and non-binary people. SoundGirls exists to provide a support network for women and non-binary people working in the professional audio industry and to assist those with a drive to be successful in audio. Women make up only 5% of the professional workforce in audio and music production. This profession thrives on word of mouth and networking. SoundGirls gives women working in the industry an opportunity to meet and network with other industry professionals, creating a strong support network. What is the Mission of SoundGirls? To inspire and empower the next generation of women in audio. 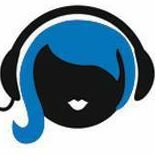 Our mission is to create a supportive community for women in audio and music production, providing the tools, knowledge, and support to further their careers. SoundGirls supports women working in professional audio and music production by highlighting their success and providing a place for them to connect, network and share advice and experiences. SoundGirls provides support, career development and tools to help those working in the field advance in their career. SoundGirls seeks to expand opportunities for girls and women in these fields and to share resources and knowledge through cooperation, collaboration and diversity. SoundGirls.Org operates under the Fiscal Sponsorship of The California Women’s Music Festival, a 501(c)3 non-profit organization. Yes, You can make a donation Here. Donations are tax-deductible! All donations and income received through the sale of merchandise goes toward the operating expenses of maintaining the website, promoting the organization, and also in developing SoundGirls programs and scholarships. Where can I buy SoundGirls merchandise? I know a sound woman who I think you should profile, how can I suggest someone for you to interview? While we encourage members to hold meet-ups, network, and create their own events, please be advised that if you wish to hold these events under the SoundGirls name you must agree to our Guidelines found here and understand that the SoundGirls name and/or Logo can only be used by agreeing to the aforementioned guidelines and with express written permission from SoundGirls. If you would like to start a SoundGirls Chapter please email us at soundgirls@soundgirls.org, we will provide you information and application to start the process. I would like to contribute to the SoundGirls website. How can I do that? We welcome contributions from members.